Notorious is a crime/legal drama about a TV producer (based on Wendy Walker from Larry King Live) and a defense attorney (based on Mark Geragos) who join forces to control public opinion and the justice system. The characters manipulate, scheme, and fast-talk around L.A. in a crazy mix of scandal, sexual tension, and lies. Going behind the scenes of the media and criminal justice proceedings, Notorious focuses on where the two overlap, and the consequences. 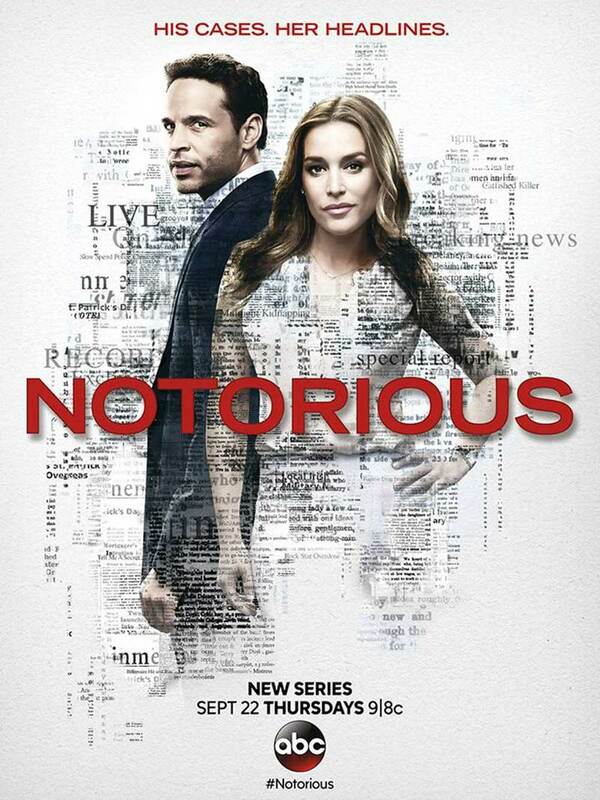 DVDs Release Dates is the best source to find out when does Notorious come out on DVD and Blu-ray. Dates do change so check back often as the release approaches.